Unplug your vehicle's factory wiring harness and plug in a Hopkins vehicle wiring harness. That's how easy trailer wiring is with a Plug-In-Simple! wiring kit! Get great performance, control, and ease of use! Need to upgrade or replace a vehicle side connector? Hopkins has the solution for your vehicle wiring needs. Prevent the need to rewire a vehicle or trailer. Simply plug in one of Hopkins' trailer wiring adapters and start towing! Whether you are replacing the trailer connector or rewiring the entire trailer, find the Hopkins trailer wiring solution for you! Change the way you protect your trailer investments with The Engager trailer break away system! Reduce brake controller installation time to minutes! Find your vehicle specific brake control harness that eliminates cutting and splicing. Check out our line of bonded wire, wire testers and installation kits, to complete the project quickly and professionally! A level for all lifestyles. 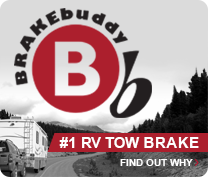 Check out our levels for RV's, homes, camping, and work shops. Put 12 volt power anywhere you need it! Great for tailgating, camping and everyday life. Test trailer and vehicle wiring by yourself with the Tow Doctor™ professional wiring testers! Easily Align Hitch Ball to the Trailer Coupler Every Time!